In a world where we have a hard time identifying the origins of brands and designers, Japan knew how to keep up with a style that has been evolving in completely different contexts. Streetwear and Americana are trends born in the United States and blindly adopted in Japan that even turned into a new style when mixed with their traditions and origins. Streetwear that was first related to Californian skateboard with a culture revolving around sneakers and sweatshirts, muted into brands that are on a level with worldwide known luxury brands. Workwear in Japan has preserved a part of the American style but has also turned to its own traditional working clothes. When in the United States, the Americana style was maintained only as a tool for nostalgia, Japan knew how to recover it and to turn it into one of the top trends seen on the runways for the last few years. We looked into three different Japanese brands that found success inside and outside of Japan. Curiously they were all born in the mountains but had very distinctive evolutions. The relationship between Shinsuke Takizawa and the United States started during his childhood and evolved within the context of an American military base that gave him access to unusual music and clothing. As a teenager, he had his own punk group and was obsessed with motorcycles. In the ’80s, he travelled to London where not only he came in contact with late punk but also with a new movement that mixed DJs, soul, hip hop and fashion, considered as the origins of Trip Hop. Hiroshi Fujiwara, known as the godfather of streetwear and famous for being one of the first DJs in Japan, contacted Takizawa to design the logo of the record label, Major Force where he started working as A&R and accompanied bands like Public Enemy on tour. With basic knowledge in design, Takizawa also took care of the design of the image and of the merchandising of the disc, his first real contact with fashion and the start of Neighborhood. A brand that blends all of these influences: motorcycles, punk, rock, the Do It Yourself style that with time evolved into a military and outdoor style. 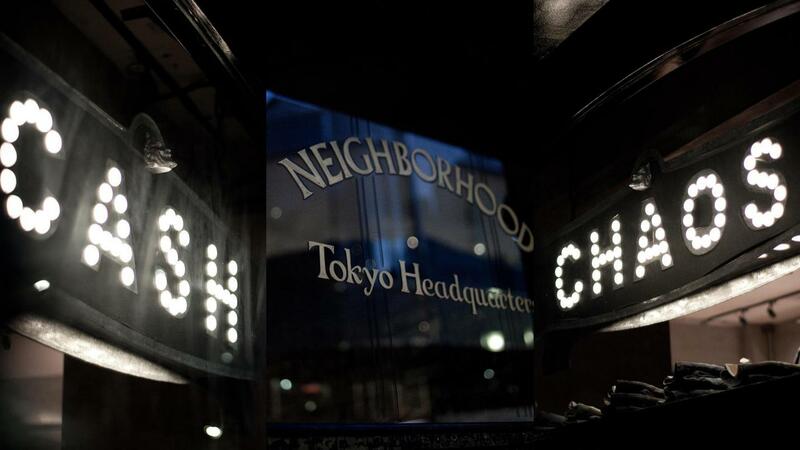 NBHD was born in the ‘90 in Harajuku, an area where also brands such as WTAPS, BAPE and Undercover were founded. In full effervescence of Japanese fashion, NBHD grew with collaborations with Coca Cola, adidas, Converse, Stüssy and Carhartt and was considered one of the basic references of streetwear from Harajuku. Based on the three concepts of design, functionality and technology, Yosuke Aizawa created White Mountaineering in 2006. The idea of the brand was to reunite these three aspects without taking into account the requirements of the market. The real origin comes from Aizawa’s childhood as he was always in touch with outdoor sports. He used to wear basic technical mountain clothing exported from the United States. The idea of White Mountaineering was to benefit from technical textiles while giving the design another turn. The approach goes beyond clothing, Aizawa also created textiles. The name of the brand associates the white colourway to the urban part, whereas Mountaineering is an obvious reference to the mountains. Even the name’s purpose is to reduce the gap between fashion and outdoor. 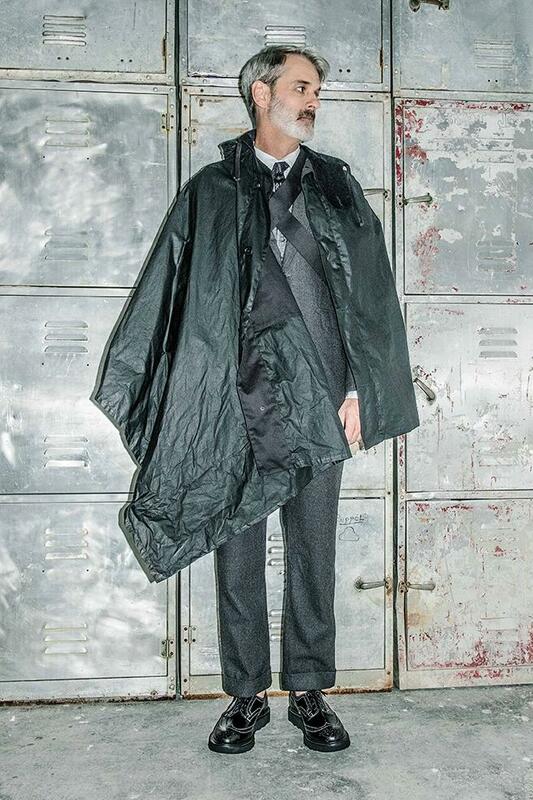 By mixing design and technically advanced products, Yosuke Aizawa became the protégé of Junta Watanabe (Comme des Garçons) and even threw his own collaborations with Moncler, Barbour, UGG, Saucony, Vans, Porter and adidas. With products designed and made in Japan for active users who are looking for different and functional clothing, White Mountaineering has turned into a key brand that follows the trend of mountain inspiration. The origin of Engineered Garments starts with the interest of Daiki Suzuki in mountain sports. He discovered the American vintage while working in shops to pay for his design studies. In the late eighties, with a career more oriented to retail than to creation, Suzuki started travelling in the United States as a buyer and managed to sign deals with Northamerican factories to create workwear inspired by the American style in the Japanese shop Nepenthes. What looked like a specific product for Japan imbued with the Americana style, ended up going back to the United States where Suzuki started opening a few shops to help him identify the true needs of the market. After almost three decades in the Japanese and American retail, Suzuki founds Engineered Garments based on his own experience and on his knowledge as a designer. His products designed and made in the United States, soon caught the attention of emblematic American brands such as Woolrich or Levi’s with whom he launched some of his most famous collaborations. Suzuki uses his collector archives as a starting point for his designs. As an architect would, he aims for the functional and for the utilitarian to create his garments. However, he doesn’t try too hard to make his references noticeable. Details from surfwear, working clothes and military apparel already define his brand’s aesthetics.